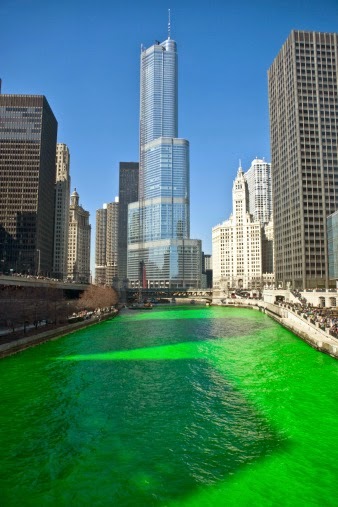 Can't wait to see the dyeing of the Chicago River green today (3/15/14) at 9:30 a.m. Central Daylight time. After that, it's off to see the parade at noon. I hope I see you there!